In August 2013, when Shedding Light first interviewed Dr. Jessica Collins, she was in a Fellowship in Pediatric Craniofacial Surgery with the University of California in San Diego and she had recently donated her time and skill with Operation Smile in Brazil. That was the first time Dr. Collins had used Enova’s Iris S-100 through the Enova Mission Program. She continues to donate her time and skill today, as she now volunteers with Fresh Start Surgical Gifts every sixth weekend in the San Diego area. Fresh Start is a nonprofit focused on helping children with deformities through reconstructive surgery. The organization has given over 6,800 children fresh starts and provided over $29 million in free medical services since it started in 1991. Dr. Collins completed her medical studies, passed the Canadian Medical Board exam and plans to take the United States Medical oral exam this coming November. She practices plastic surgery at OasisMD Lifestyle Healthcare in San Diego. Much of her time is spent performing trauma reconstruction surgery for adults and children; she also performs facial, hand and extremity, and aesthetic surgery. OasisMD offers multi-disciplinary medical services focused on wellness that include—in addition to plastic surgery—orthopedic surgery, oncology, chiropractic services, as well as laser, spa and cosmetic services. 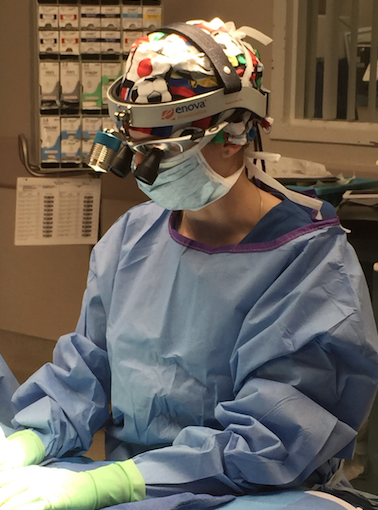 Based on her positive experience using the Iris S-100 in Brazil (see original story below), Dr. Collins was interested in purchasing the surgical headlight from Enova to use in her practice. When she contacted Jim Nelson, Enova’s Director of Sales and Marketing, she learned that the company had launched two new headlights: the Cyclops XLT-125 and XLT-225. I’m very happy with it [Cyclops XLT-125]. It is a thinner piece of equipment than it looks at first glance and that makes it very portable. The new headlight is brighter than the S-100 and the spot size is adjustable. This all makes the headlight extremely useful. In fact, Enova’s Evaluation Program lets surgeons evaluate their headlights for up to 30 days without risk or obligation. Enova will request a credit card number, but will not charge the credit card unless the headlight meets the surgeon’s needs and agrees to purchase it. Dr. Collins ended up choosing the Cyclops XLT-125. Here are the questions we asked Dr. Collins in August 2013. Shedding Light caught up with Dr. Jessica Collins, a surgeon currently fulfilling a Fellowship in Pediatric Craniofacial Surgery with University of California, San Diego in San Diego. 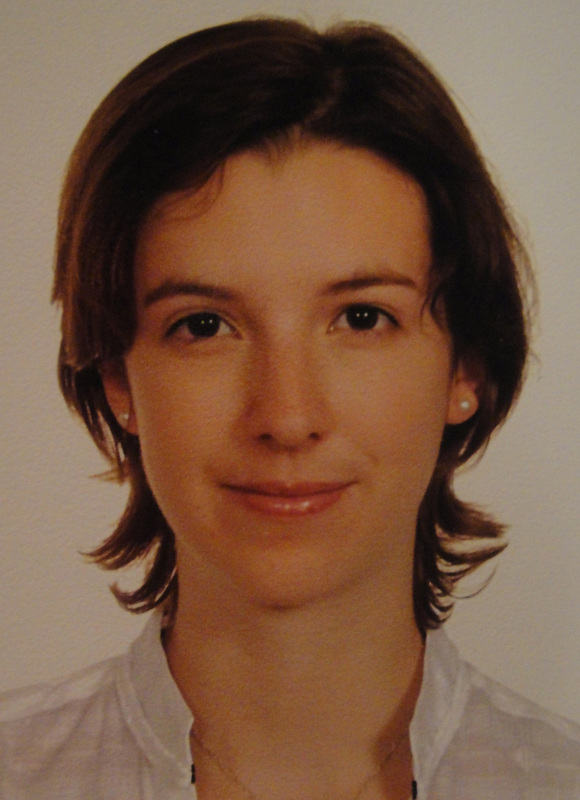 She shared her firsthand experience using Enova’s Iris S-100 while volunteering with Operation Smile in Brazil as a plastic surgery resident in June 2012.Shedding Light: What is Operation Smile and how did you hear about it?Dr. Collins: I heard about Operation Smile when I was a plastic surgery resident in Canada. Operation Smile is a medical charitable organization that sends volunteer surgeons around the world to perform life-changing procedures to heal the smiles of children born with a cleft. The organization has been around since 1982 and all of the surgeries are free for the patients, who range from children to young adults.Shedding Light: And, you were interested in a surgical mission?Dr. Collins: Yes. I applied for Operation Smile’s Medical Resident Program. Residents of Plastic Surgery, Anesthesia and Pediatrics can apply for a Stryker or Regan Fellowship, which pairs a resident with a mentoring physician on a mission. I was fortunate to be selected for the fellowship. Shedding Light: Where were you sent? How was the mission conducted? Dr. Collins: The team I was on was sent to Rio de Janeiro in Brazil. This was in June 2012. Another resident as well as a full team of anesthesiologists and nurses were flown in from around the world to work with 5 surgeons in Brazil; it was an amazing international melting pot of professionals. We began by running clinics the first two days to evaluate patients and determine who would get the surgeries. Then there were five days of scheduled surgeries to help repair the deformities. Shedding Light: What were the operating rooms like? Dr. Collins: Most of our surgical and medical supplies were flown in but we were in a hospital in Rio de Janeiro. It was a basic OR with an older generation overhead light. Shedding Light: Was that light sufficient for you? Dr. Collins: When we perform surgery on a cleft lip or cleft palate the working space is small and we need focused light. The overhead light wasn’t helpful and all of the volunteer surgeons brought their own headlights; I knew this in advance. I’d used fiber optic surgical headlights at the hospital where I was working but I didn’t have my own headlight and wanted one to bring on the mission. Shedding Light: How did you hear about Enova Illumination? Dr. Collins: I saw the Enova booth at an ASPS Conference. The design made sense and when I tried them on—I tried the Iris S-100 and D-200—they were lightweight and comfortable. They just felt right. Plus, the fact that they operated on a battery would make it easy to maneuver in the OR without being tethered to a power source. When I was told about Enova’s Mission Program*, I jumped at the opportunity to borrow one of the headlights for my mission trip. Shedding Light: Which Enova LED surgical headlight did you take? Dr. Collins: I took the Iris S-100 and it was fantastic. It was easy to work with, the light source was very good, and I hardly noticed that I had it on. It also didn’t interfere with my surgical loupes. Shedding Light: Surgeons who take Enova headlights on mission trips commonly comment on our headlights’ long battery life. What did you think of the battery pack? Dr. Collins: The headlight battery life was excellent. I recharged it each night and had no problems. At the end of the day I’d begin to wonder if the battery was going to slow me down. But, the Enova battery pack never let me down. Shedding Light: What are you doing now? Dr. Collins: I’m in a Pediatric Craniofacial Surgery Fellowship at the University of California, San Diego in San Diego. After the completion of my Plastic Surgery Residency in June 2012, I completed an Adult Craniofacial and Aesthetic Surgery Fellowship before starting my Pediatric Craniofacial Fellowship.